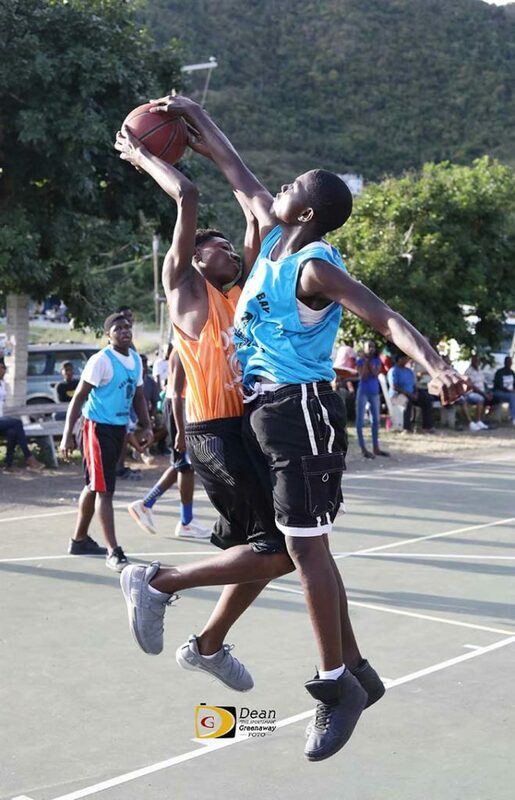 The Sea Cows Bay Basketball Club (SCBBC) held the National Bank of the Virgin Islands Martin Luther King Jr. Basketball Classic for 9-12 and 14-16 year old January 18-20, to kick off a series of activities marking the club’s 25thanniversary. Milton McLean founded SCBBC on April 1, 1994. In 9-12 Division games played, the Jordin Cameron had eight points, seven steals and four rebounds in leading the Green Machine to a 25-6 victory in the 9-12 game. Leondre Davis added six points, six rebounds and four steals. Red Rulers trimmed the Blue Boys, 24-22,. Kurdell Esprit paved the way with 12 points and four rebounds while Malik George added eight. Sean Adams led Blue Boys with 10 points. Kaelni Marquis dropped in another eight. Jordan Cameron had 10 points, Leondre Davis and Levan Nauth six each, in leading the Green Machine to a 24-18 win over Red Rulers. Esprit had a game high 13 for Red Rulers. On Fire turned back YEP 42-35 in a 13-15 game, led by Kymal Panchoo’s 16 points, 11 from Donnar Henry and eight from Raphael Singh. Tcoy Tyson had a game high 19 points for YEP. Deandrea Bainauth added six, Ken Norris five and Chris Dwarka, four. In a 14-16 games, Shooting Stars toppled Fire 42-18. Jason Audain had a game best 18 points. Brandon Wyner and Aaron Williams Jr. poured in six respectively. Williams Jr. had 12 points to lead Shooting Stars to a 48-37 win over YEP. Audain followed up with 12. Raphael Singh added another eight and Jamar Thomas, six. Dwaka led YEP with 16, while Tyson dropped in 10. McLean said when he started the club, he thought he would be around for five to six years then turn it over to someone else. In reflecting on the development of the club, McLean said that over the years, they have had teams from all over Tortola and Virgin Gorda playing in their tournament and leagues. They have even accommodated 16-18 year old to play in their league. With no real basketball structure in place, McLean said that there’s a need for younger children to become more thoroughly engaged in the sport.